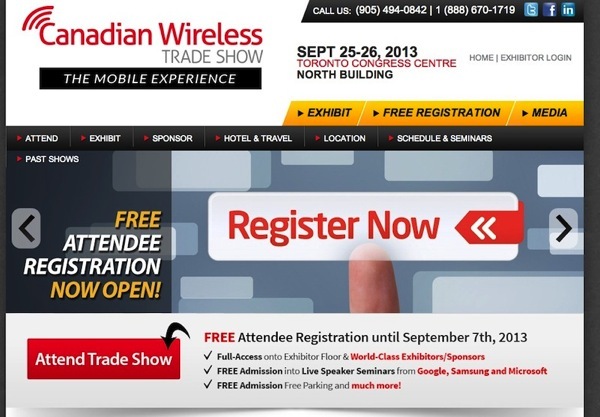 The 2013 Canadian Wireless Trade Show is set to take place this September 25-26 at the Toronto Congress Centre. This free B2B (business to business) trade show is geared towards all things wireless and mobile, featuring over 120 exhibitors, sponsors and live speakers, aimed to help your business grow and bring an opportunity to network with big industry players. Businesses can register to attend the trade show for free until September 7 and get full access to the exhibitor floor and seminars, featuring speakers from Google, Samsung, Microsoft, BlackBerry, Bell, TELUS and more. Click here to register for the event, which includes free parking. iPhoneinCanada is a media sponsor of this year’s 2013 CWTS.